I think it’s obvious from this blog that I love the awesome Cartographer’s Annual from Profantasy Software! However, too often I download and admire the new style, but don’t get round to actually using it in my mapping! So, a few weeks ago I (perhaps foolishly…) set myself a mapping challenge for 2013. My goal is to use each issue of the Annual in the month that it comes out. The map however, can’t just be a random ‘play-around’ with the style, my mapping time is too precious for that! No, the intention is to create a meaningful map for my world (Tolrendor) or my 4E campaign (The Amber Tower). 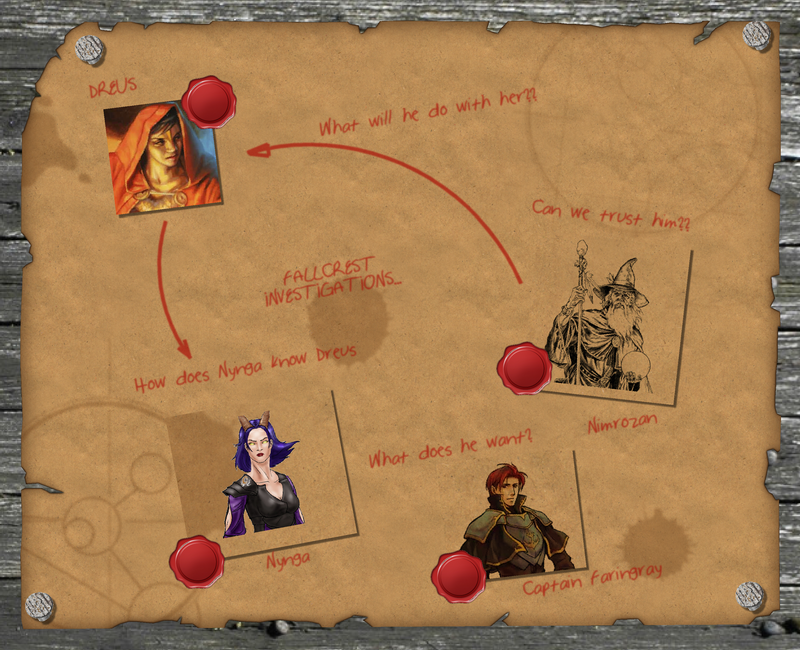 Of course, as my campaign is a D&D one, I decided that white- or cork-boards didn’t really fit my needs, so after using the style to create the basic handout, I added a ripped parchment background (from a previous Annual issue) as well as some more ‘medieval’ props like wax blobs to hold the images on, nail-heads etc! Hope you like it! Now that I’ve got the basic image template, my plan is to update this for each session as a prompt to the kids of all the information they’ve gleaned! This entry was posted in Cartography, Columns, The Amber Tower Campaign, The Annual Challenge, Tolrendor Gazetter. Bookmark the permalink.